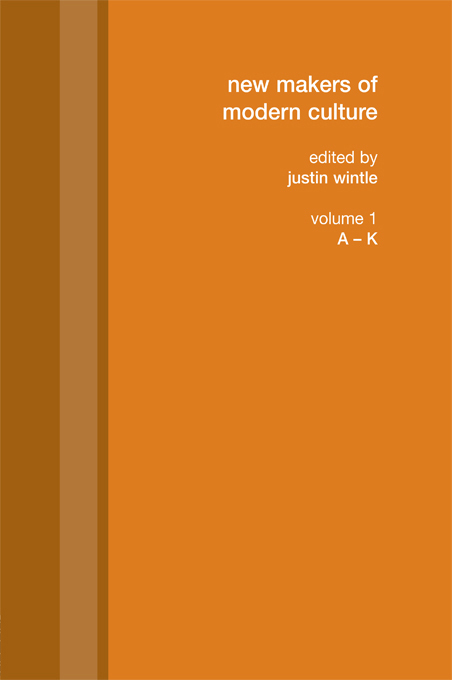 New Makers of Modern Culture is the successor to the classic reference works Makers of Modern Culture and Makers of Nineteenth-Century Culture, published by Routledge in the early 1980s. The set was extremely successful and continues to be used to this day, due to the high quality of the writing, the distinguished contributors, and the cultural sensitivity shown in the selection of those individuals included. New Makers of Modern Culture takes into full account the rise and fall of reputation and influence over the last twenty-five years and the epochal changes that have occurred: the demise of Marxism and the collapse of the Soviet Union; the rise and fall of postmodernism; the eruption of Islamic fundamentalism; the triumph of the Internet. Containing over eight hundred essay-style entries, and covering the period from 1850 to the present, New Makers includes artists, writers, dramatists, architects, philosophers, anthropologists, scientists, sociologists, major political figures, composers, film-makers and many other culturally significant individuals and is thoroughly international in its purview. Next to Karl Marx is Bob Marley, next to John Ruskin is Salmon Rushdie, alongside Darwin is Luigi Dallapiccola, Deng Xiaoping runs shoulders with Jacques Derrida, Julia Kristeva with Kropotkin. Once again, Wintle has enlisted the services of many distinguished writers and leading academics, such as Sam Beer, Bernard Crick, Edward Seidensticker and Paul Preston. In a few cases, for example Michael Holroyd and Philip Larkin, contributors are themselves the subject of entries. With its global reach, New Makers of Modern Culture provides a multi-voiced witness of the contemporary thinking world. The entries carry short bibliographies and there is thorough cross-referencing. There is an index of names and key terms.